In May 1940, installation of two Projector Fortress 90cm Mark V 1939 searchlights was completed. 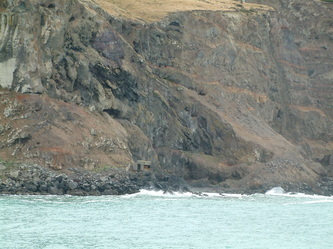 They were mounted at sea level on the harbour side of Godley Head. The emplacement buildings were constructed of reinforced concrete with a semicircular “bay window” front. The bay window was fitted with sliding steel shutters to close off the opening and protect the lights when not in use. A pair of wartime glazed shutters have been presented to the Godley Trust but their use remains uncertain. 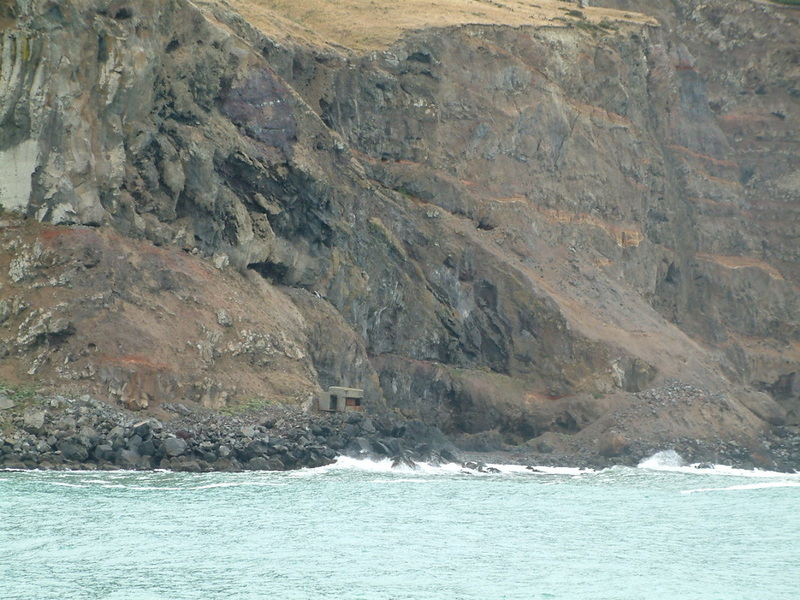 The emplacement’s roofs were soon strengthened to counter rocks falling from the cliffs immediately behind them. The buildings were to say the least, spartan. The only equipment apart from the lights, was a rack to hold the carbon rods, spares, and other expendibles. Each of the two lights were manned from dusk to dawn in the early period of WW2. During the Compulsory Military Training period the lights were only manned for training exercises. 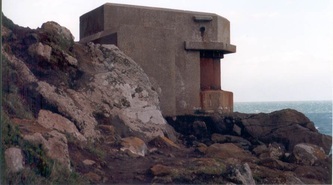 The emplacements were in telephone communication with the Short Range OP at BOP2. Those manning the lights could dip and turn them on and off. Other movements were remotely controlled by an operator in BOP2. The inner emplacement was called the “sentry light”. It was aligned on a white marker, low on Adderly Head, and remained stationary throughout the night. The intention was for it to form a barrier of light through which any unknown vessel entering the harbour had to pass. 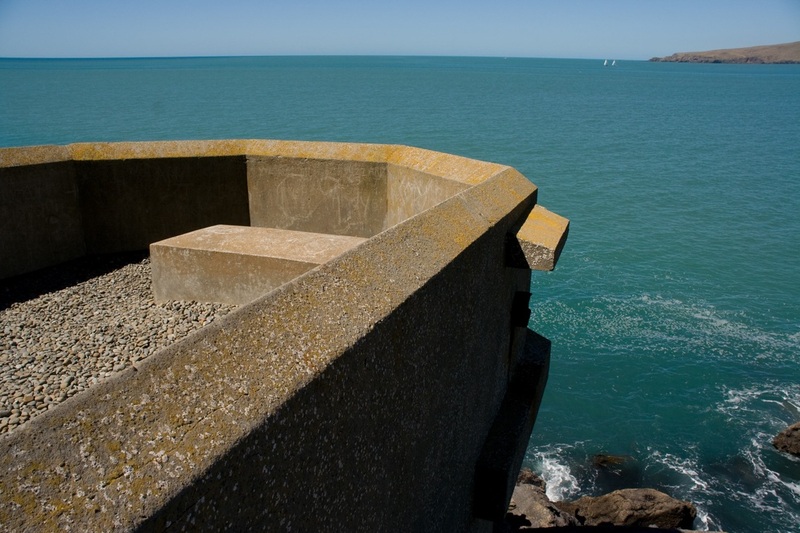 Unfortunately this emplacement was destroyed by the earthquake of February 22, 2011. 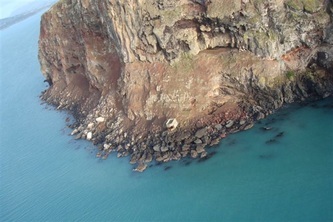 The outer light, known as the “sweep”, was ranged back and forth across the harbour entrance by an operator at BOP2. When a known vessel entered the harbour, both lights were dipped so as not to illuminate it for an enemy submarine. The ship was then trailed into the harbour by the sweep light to ensure no enemy vessel used it as a cover to enter the harbour. The lights, or projectors, used a massive direct current charge to consume a pair of 46cm long, 2.5 cm thick pure carbon rods. The two rods formed the negative and positive terminals. An arc of electricity between them produced the brilliant light required by the projector. The positive rod was consumed the fastest, lasting only about 45 minutes. 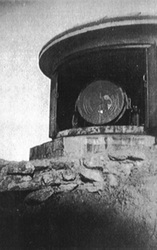 A 90cm parabolic mirror behind the arcing rods focused the light in to an intense parallel beam. 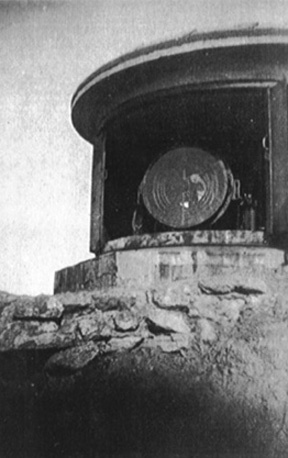 The searchlights were approached from the camp down a steep switchback foot track. 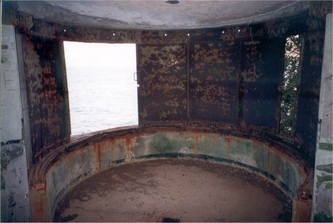 This was metalled during 1942 by Battery personnel, who carried the gravel in barrows. 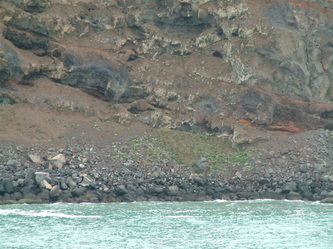 A prominant bluff hindered access to the lights. A team of West Coast miners was employed to drive a tunnel, 122m long, directly through it. This was completed in August 1939. 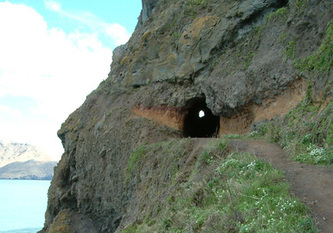 The tunnel was damaged in the February 22, 2012 earthquake. 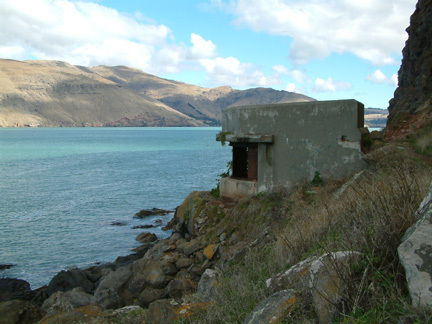 Battery Point had its own searchlights as it served as the Examination Battery for Lyttelton Harbour. The searchlights produced an odd example of nature adapting to man. 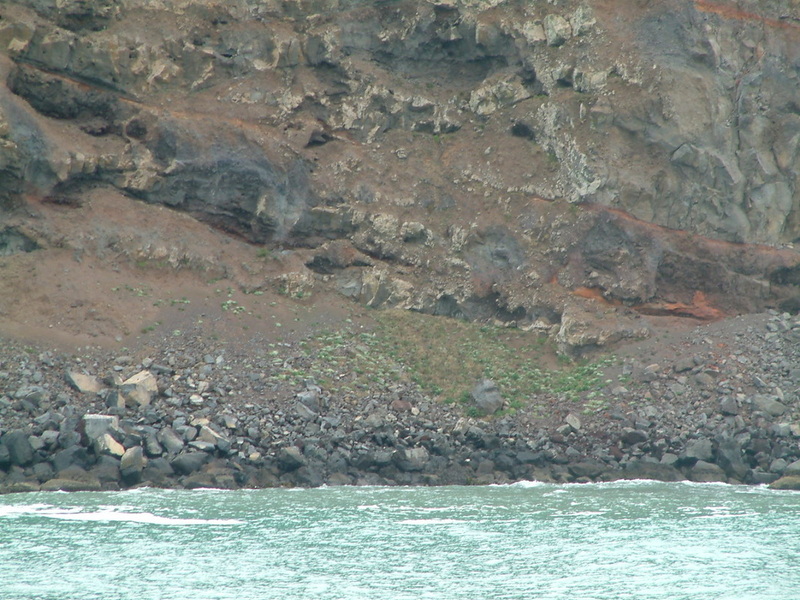 The harbour’s seagulls learnt that with the beam’s aid they could hunt fish at night. They were regularly seen flying up and down the sentry beam.